In April 2016, rock legend Prince, suffering from intense hip pain, consumed a Vicodin for relief. Shortly afterward, he overdosed and died at his Paisley Park estate. Investigators determined that the pill was counterfeit and laced with fentanyl and that Prince, in all likelihood, did not know it. That incident brought attention to fentanyl on the world stage. Perhaps you learned about fentanyl then and are hearing more about it today. If not, you will be. A pharmaceutical grade product, fentanyl is a synthetic opioid. Approved for use in the U.S. by the Federal Drug Administration (FDA) to alleviate severe pain, it comes in several forms, including a transdermal patch and lozenge. As such, it’s a heavy-duty painkiller, as much as 50 to 100 times more powerful than morphine. For that reason, fentanyl is prescribed mainly to treat pain from late-stage cancer. That’s the up-and-up snapshot on this highly potent substance. Then there’s the shady side. Non-pharmaceutical grade fentanyl is fabricated illegally and sold through illicit channels. Those who make the drug for the black market trade often produce it as a mixture. 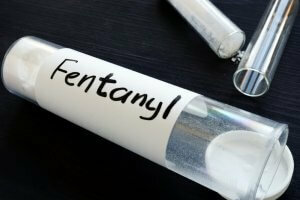 They combine fentanyl with other another opioid, such as heroin, or with cocaine to enhance the effects it generates. Users may or may not be aware of this hybrid formulation. Regardless of individual knowledge, the lack of ingredient quality control and knowledge has consequences. People have been overdosing. And many have been dying. Over the course of this decade, mortalities from opioid overdoses have surged. The National Center for Injury Prevention and Control, a division of the Centers for Disease Control and Prevention (CDC), maps this trend. From 2012-2015, the rate of deaths from synthetic opioids across the country registered a 264% increase. What substance has played a major role? Fentanyl. A report recently released from the CDC highlights this trend. In 2011 and 2012, fentanyl was responsible for some 1,600 overdose deaths annually. The situation remained stable for those two years. Then it spiked. In 2013 and 2014, fentanyl-induced overdose deaths more than doubled; and it did so for not one, but both of those years. That was only the beginning. 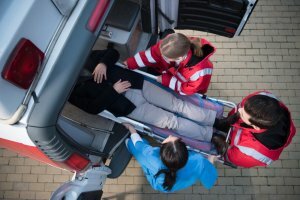 The number of fatalities rose consistently each quarter from the end of 2013 through 2016. The charts for 2015 and, even more so for 2016, show dramatic upticks. When 2016 came to a close, 18,335 users had overdosed and died from fentanyl that year alone. The Washington Post updated the numbers for 2017. That’s when fentanyl claimed increasingly more lives. That year, 47,000 people in the U.S. died from opioid overdoses. Of that total, fentanyl was the root cause of 28,869 of them. It was now the #1 cause of death from opioids. Based on these numbers, fentanyl is on the leading edge of a new era. It’s being considered the third wave in the U.S. opioid epidemic. In this hierarchy, prescription painkillers, e.g., OxyContin, represent the first. Heroin, a cheaper alternative to these illicit pills, is the second. And now fentanyl, in a category of its own, has ushered in the next. A reason for fentanyl’s rapid rise may relate to its ample supply. The illicit drug trade is finding it both easier to concoct than competing substances and to obtain. The U.S. Drug Enforcement Administration (DEA) notes that synthetic fentanyl is sourced globally. Most frequently, the ingredients come from China and then packaged in Mexico. Fentanyl’s strength is another factor. Because of its potency, a little goes a long way and renders attractive profit margins. When mixed with other non-prescription grade narcotics and chemicals, which is the case much of the time, it’s a drug dealer’s substance of choice. Users favor it too for its euphoric effects. However, those highs last a relatively a short time. Therefore, those who want it tend to consume this highly addictive drug often. Are fentanyl-involved drug overdose deaths on the upswing? Data from New England, the region hardest hit, shows that to be the case. In Massachusetts, fentanyl was present in the blood stream of almost 90 percent of those who died of drug overdoses there into the fourth quarter of 2018. At the beginning of that year, a final report came out about another music superstar. Tom Petty had accidentally overdosed and died in October 2017. The same goes for rapper Mac Miller in September 2018. The cause? Fentanyl. Sherry M. Adler is a freelance writer based in the Greater New York City area, dedicated to using the power of words to inform and energize people.